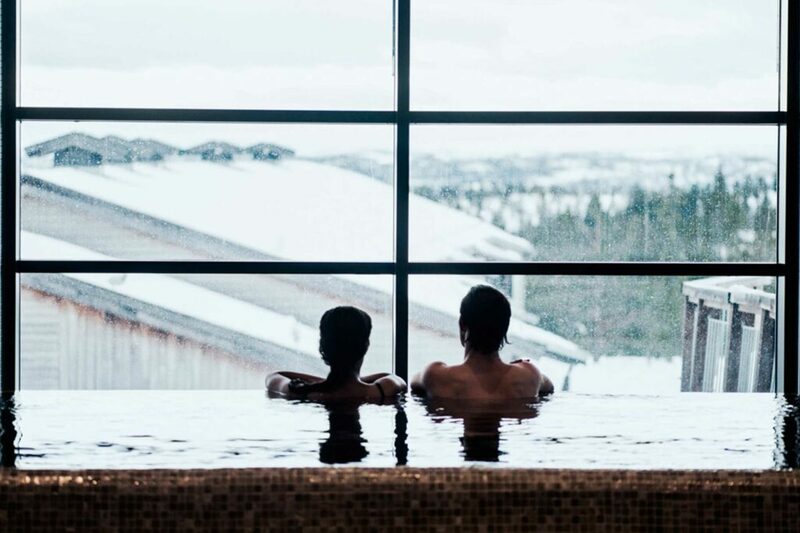 Norefjell Ski & Spa is an exciting ski and spa hotel set amid stunning mountains, approx. 1.5 hours by car from Oslo and Gardermoen Airport. Here we offer lots of leisure activities, and a large spa in a unique setting. Experience the diversity of nature in an environment that puts health and well-being in focus. Our conference area consists of 14 meeting rooms, the largest of which takes up to 400 people. For larger events we work in partnership with Bøseter Congress Hall which was completed on 31 December 2014, with capacity for up to 700 people. Having a meeting with us isn’t just a meeting but a whole experience. We have all you need for a successful conference with everything from excellent meeting rooms to food and social activities. Thanks to our location on Norefjell mountain and our range of activities, it’s only your imagination that limits how to spend your time with us. Our spa area is just what your body and soul need. We have many different treatments inspired by the pure Nordic nature. You can also visit our spa facility with ice showers, foot baths, different saunas and jacuzzis. We also have an outdoor spa with heated outdoor jacuzzis, where you can sit back, glass in hand, and enjoy the mountain views. Norefjell offers lots of activities to choose from during each season. Our hotel is located right on the ski slopes, so you can put your skis on at our front door, and after a day on the slopes you can ski right back to the door. Once back at the hotel, relax and enjoy a cup of hot chocolate or a delicious dinner. We have an indoor 16-metre-high climbing wall right inside our main entrance (do you dare climb right to the top? ), an ice skating rink in winter, spa area, swimming pool and gym, plus an activity room for children. During school holidays we also convert our conference area into a fun zone for children.